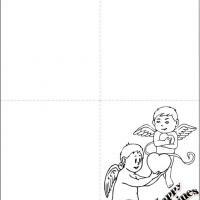 Color the cherubs or add some more drawings for this day of love and make the person that you are going to send this card happy for the effort that you have done. Who else will symbolize love better but these playful cherubs? 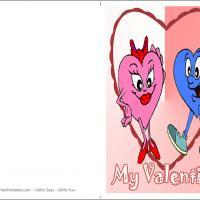 These printable Valentines cards offer plenty of scope for you to add your own creative touches while still holding many of the symbols of this holiday. 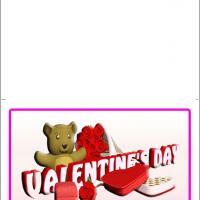 This card is not only suitable for couples, but can also be given to family and friends in order to show your love for them. 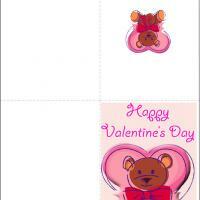 This is a fun card to give out, so print it today, add more color and decorations to it and enjoy sending it out!